After our fabulous photographer, Cassidy Carson, recommended doing a first look (for a few reasons), we decided it was the best choice for us. Cory and I hadn’t considered a first look because we weren’t sure how it would impact the magic of walking down the aisle. Ultimately, we did a first look because it was a way for just the two of us to spend time together and soak in the joy; it forced us to slow down and be present in the moment on an otherwise fast-paced day. 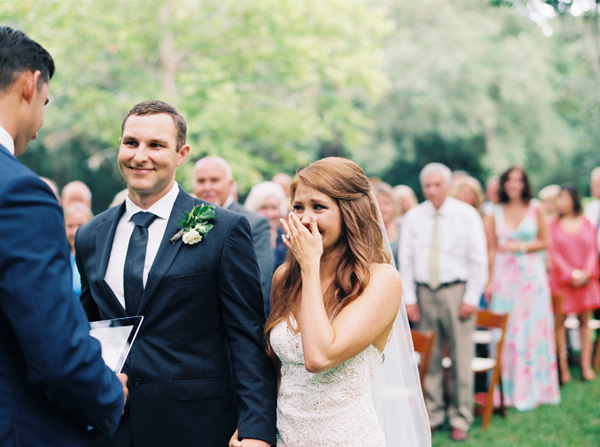 It didn’t take away from walking down the aisle in the least. 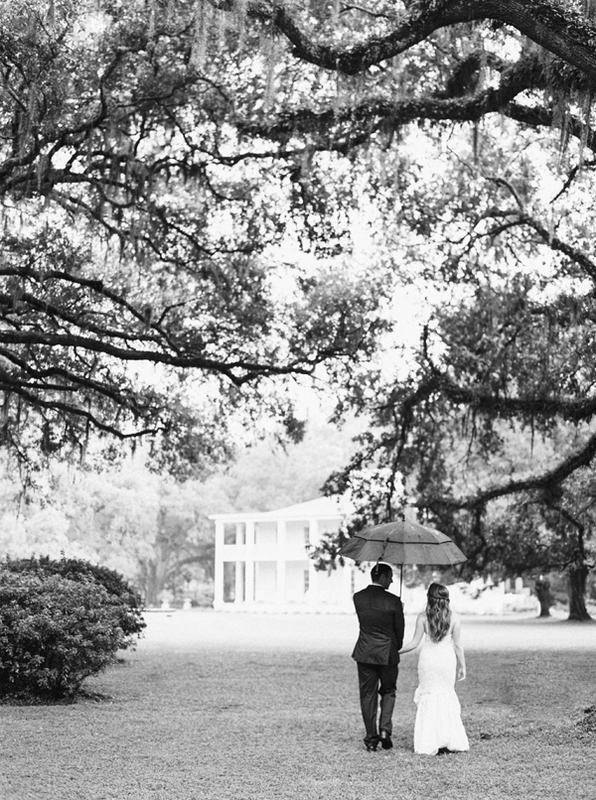 The weather for our first look was absolutely stunning, which was our saving grace, as not 30 seconds after our ceremony ended, thunder rolled and we were caught in a torrential downpour! When we were choosing our wedding location, we made two things a priority: community (friends and family who would be present) and the location’s significance to our story. Cory was stationed in Florida for the majority of our dating life and we would spend hours upon hours playing in the waves and exploring Seaside on 30A. It’s where we fell in love, where we first exchanged those words, and where we spent so much time dreaming about our future. 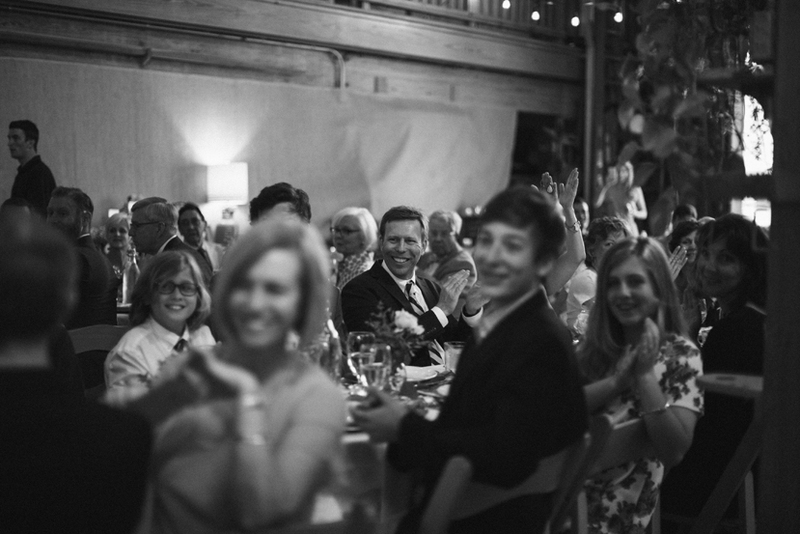 30A is a critical part of our story and we wanted our celebration of marriage to be a reflection of that. 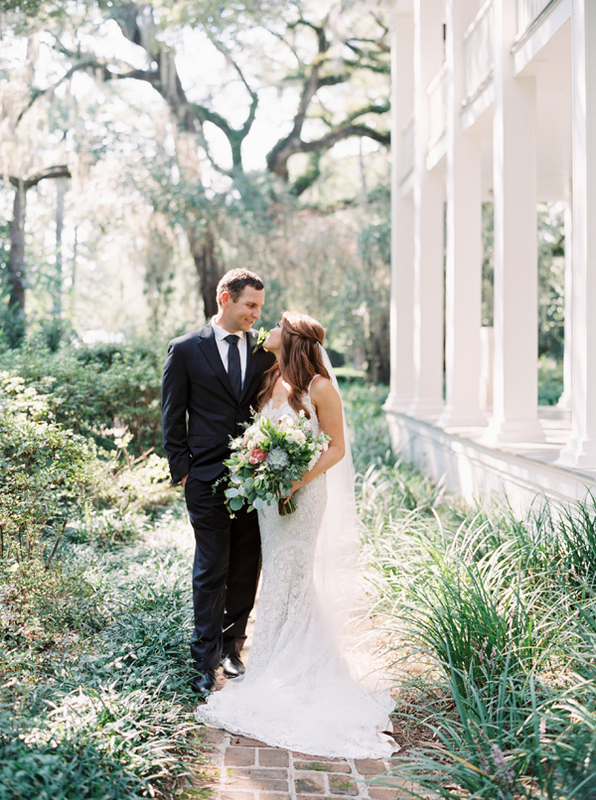 Eden Gardens is a little hidden gem about ten minutes inland–a quiet, historic plantation home with beautiful oaks and dreamy Spanish moss. It was the perfect way for us to incorporate a Southern-style venue while hosting friends and family in a place that means the world to us. First order of business when Cory returns home from deployment is to celebrate and take a mini-moon (second small honeymoon) to celebrate his homecoming and the gift of marriage. We love to travel and explore new cities, which we plan on doing a lot in 2017 (and beyond). But we’re also excited for the slow Saturday mornings of cooking breakfast together and enjoying our home with our sweet pup, Luna. 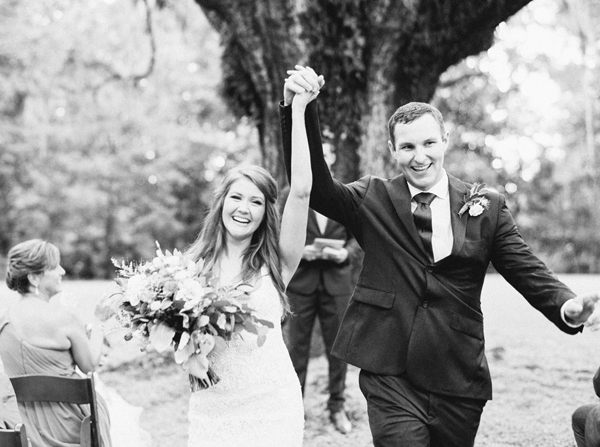 Leaning into newlywed life, growing as a couple, and creating our own family traditions have both of us excited about what’s next. I love the intimacy of elopements. They’re perfect for the couple who want to get away from planning everything down to the smallest detail. All that’s really needed is a time, place, and each other. 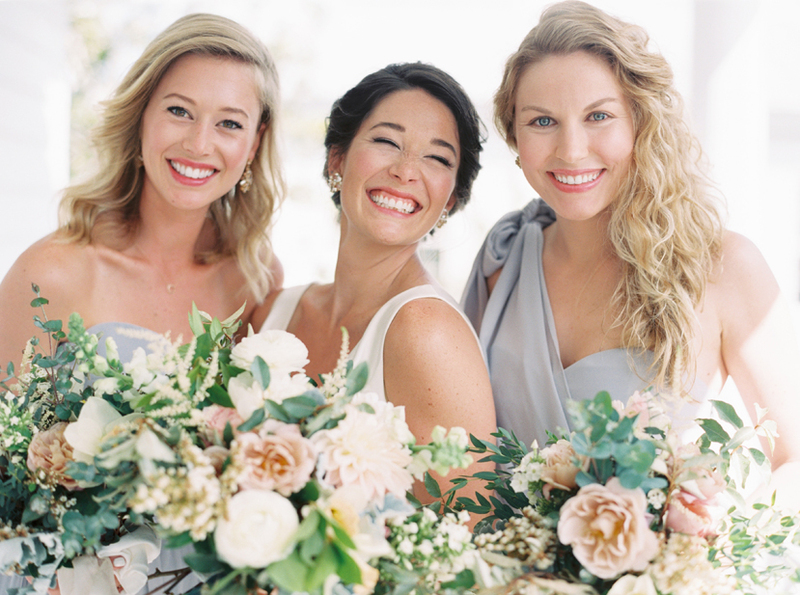 I was so fortunate to have an incredible couple, a stunning dress, and Kelly Lenard, the floral designer, by my side to help everything come together so effortlessly. 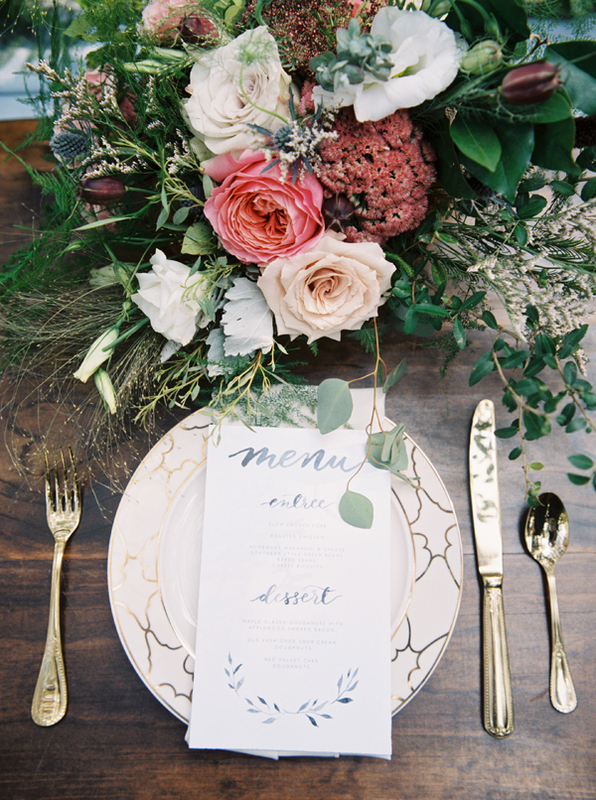 Kelly pulled florals in colors that complemented the California landscape to create a daring bouquet. 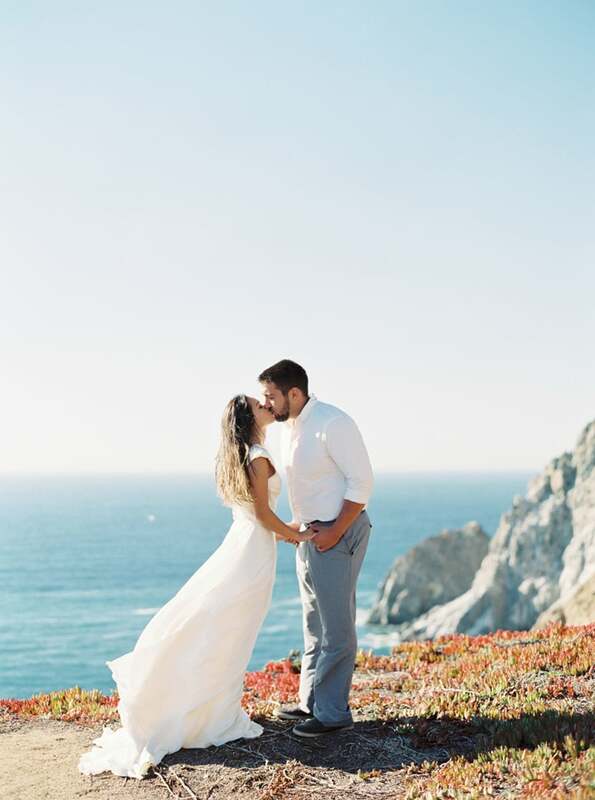 Ultimately I wanted to show brides-to-be that if a large, expensive wedding doesn’t excite you, then an intimate elopement with just you and your fiancé is a totally viable, somewhat carefree option. 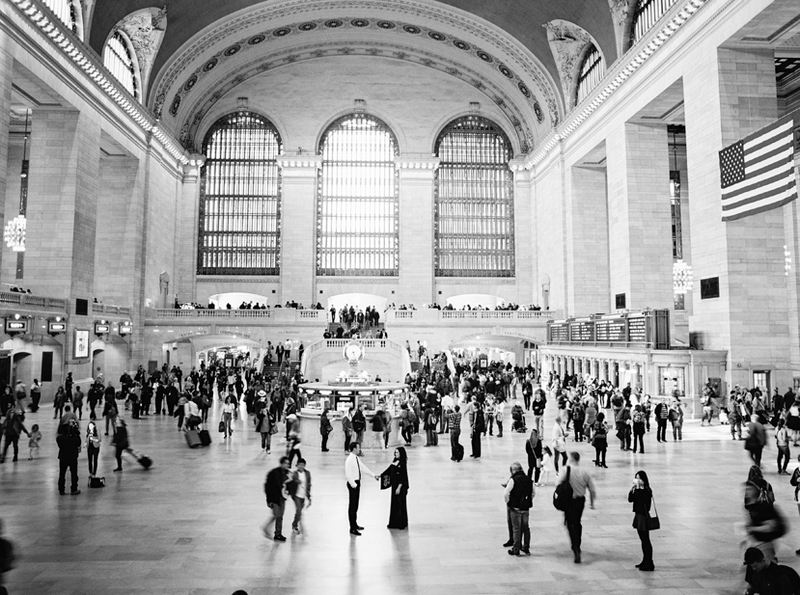 It can be just as beautiful as large celebration with all of the bells and whistles. 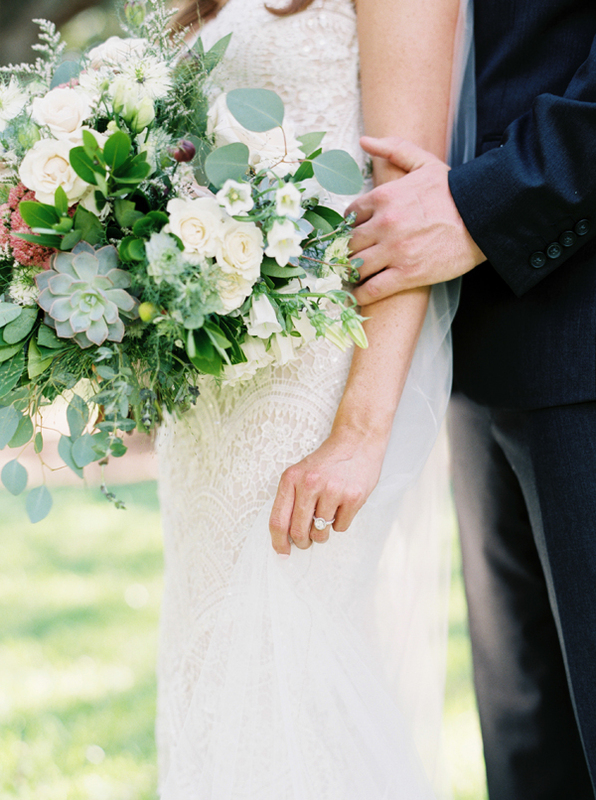 For this bouquet, Kelly wanted to come up with a lush and wild design reflective of the California coast. 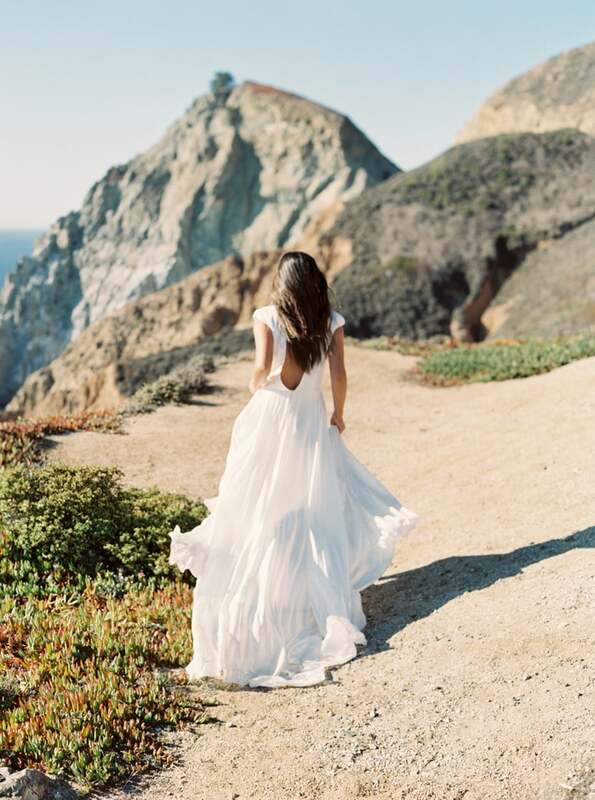 Her inspiration came from the warm glow of the early evening light, golden hues on the cliffs of Gray Whale Cove, and the colorful vegetation that covered the surrounding hillsides. 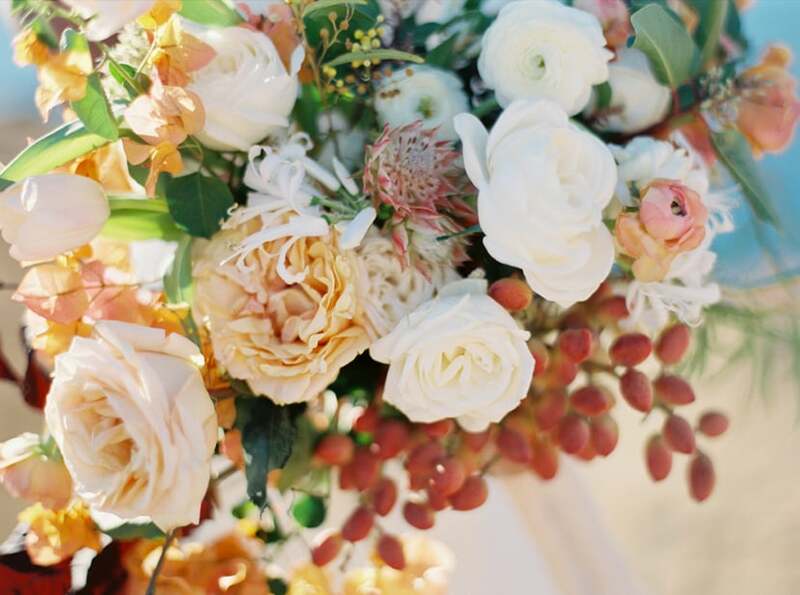 She chose a mix of caramel, coral, ivory, orange, and rose tones to compliment the landscape. Foraged pistachio and bougainvillea were among her favorite finds. 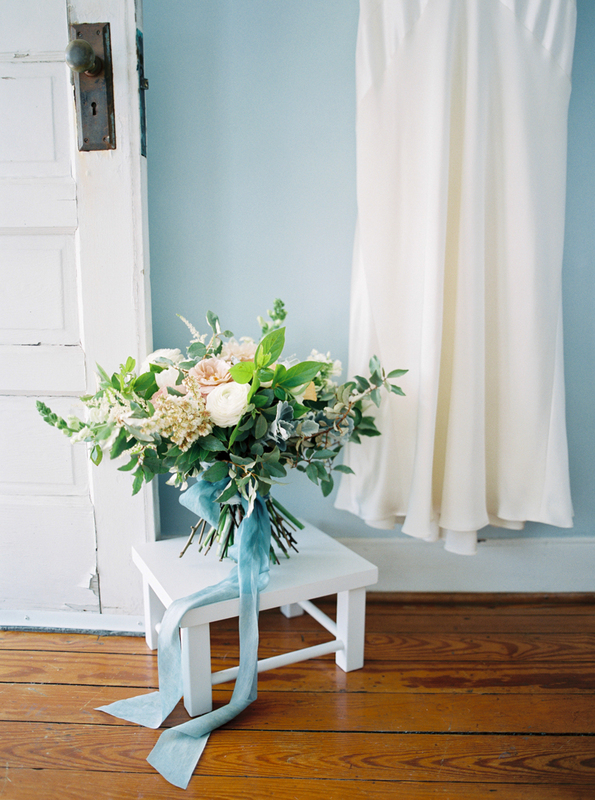 Other varieties included garden roses, ranunculus, nerines, fringed tulips, and blushing bride proteas. 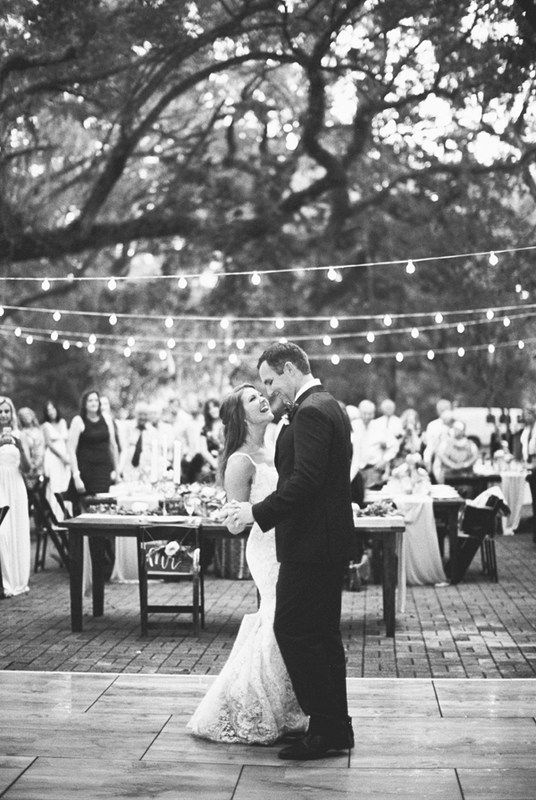 The couple set plans into motion for an elegant wedding on April 23, 2016, with 105 guests in Beaufort, North Carolina. Kelsey’s parents both live in Beaufort, and her dad works at the maritime museum which runs the Watercraft Center, an active boat workshop. 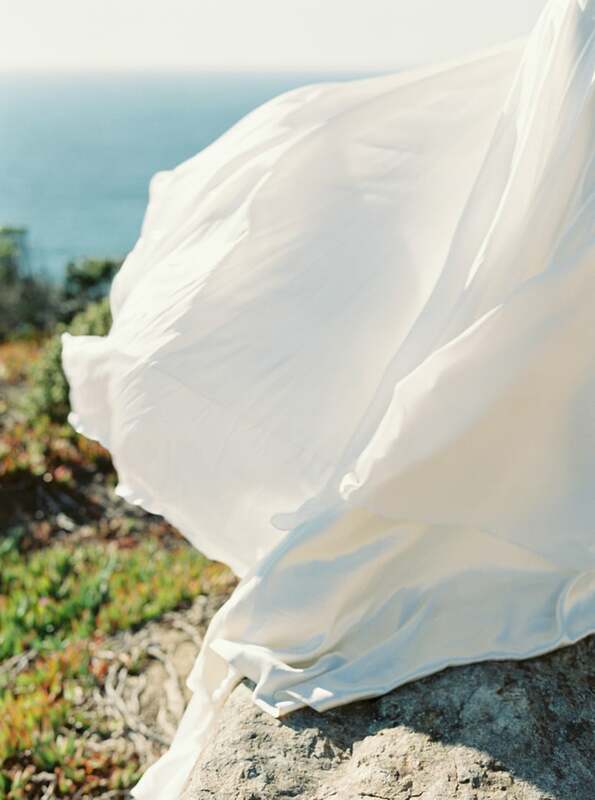 “The first time we walked in to consider it for our wedding we both knew it was ultimate venue for us. It was rustic, raw, simple, and has so much character. The waterfront views were also a plus!” Kelsey says. 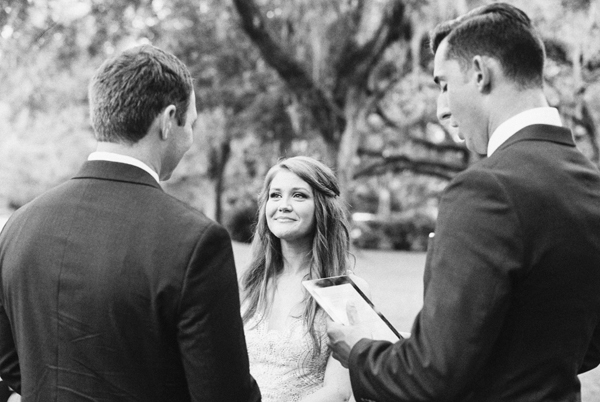 With intimacy in mind, Kelsey admits that keeping the guest list to a minimum was the most difficult part of planning her wedding. 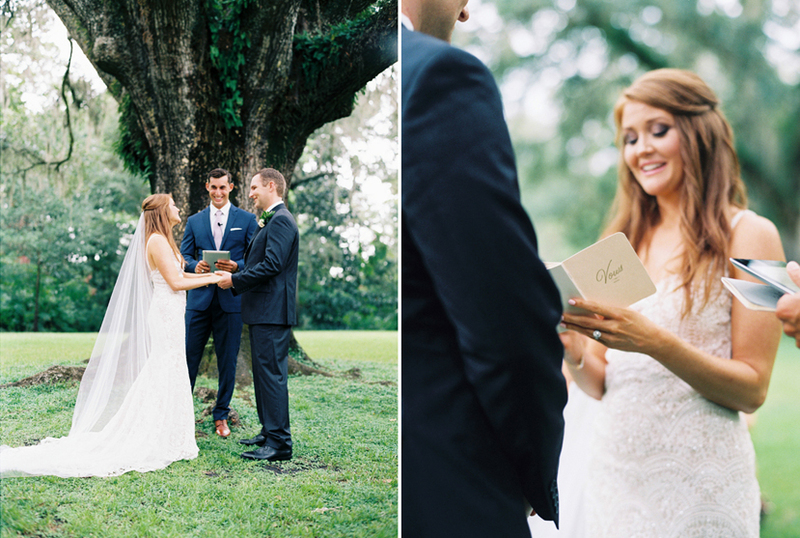 “I wanted a small intimate wedding, and was so amazed at how hard it was to keep the guest list down,” the bride says says. 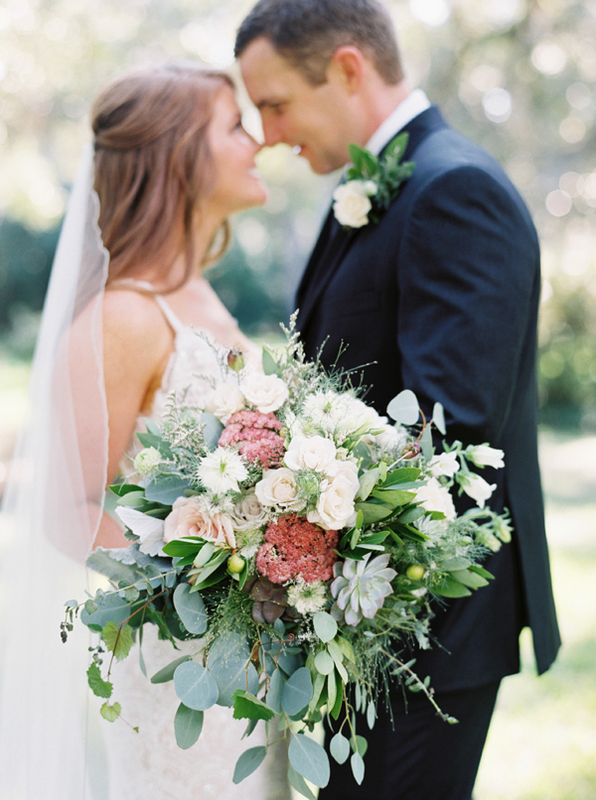 The couple enlisted the help of the bride's mother (as well as a day-of-coordinator) to plan a cozy affair with a simple, neutral color palette. 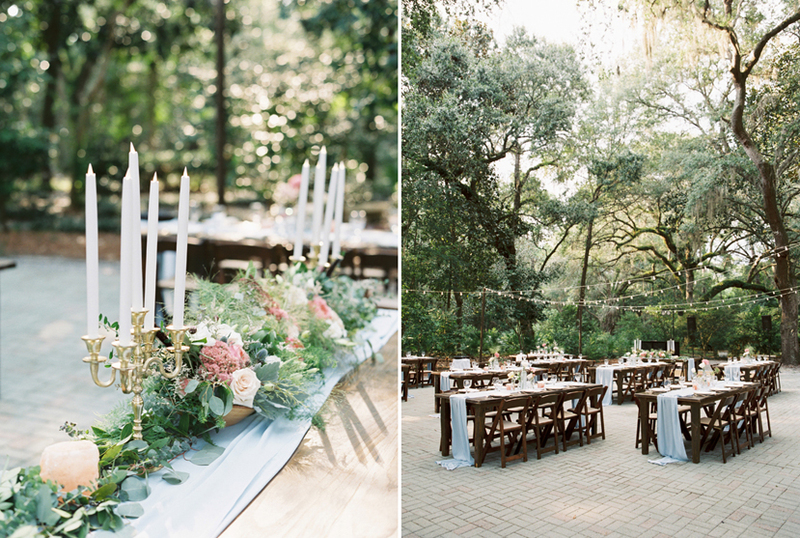 Ceremony and Reception Venue: Harvey W. Smith Watercraft Center | Day of Coordinator: Heather Willett of Humble Bee | Bride's Gown: Sarah Janks from LVD Bridal | Earrings: Kate Spade | Shoes: Sam Edelman | Bridesmaids' Dresses: Joanna August | Groom and Groomsman's Attire: Jos. A. 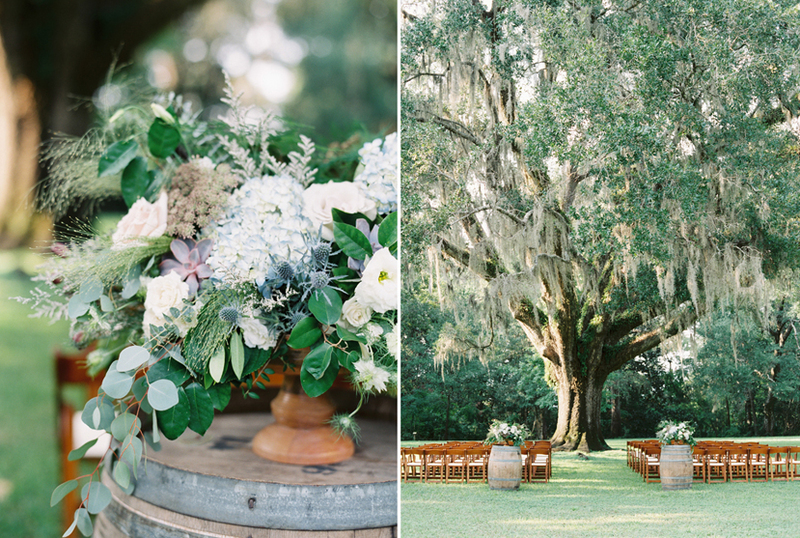 Bank | Engagement Ring: J. Yontef | Wedding Bands: Barker Diamond | Flowers: Betsy Earnest of Elizabeth Earnest Florals | Music: Another Level of Sam Hill Entertainment | Catering: Beaufort Grocery Co.